The sky showed blue and we agreed that an opportunity for some fresh air had presented itself. 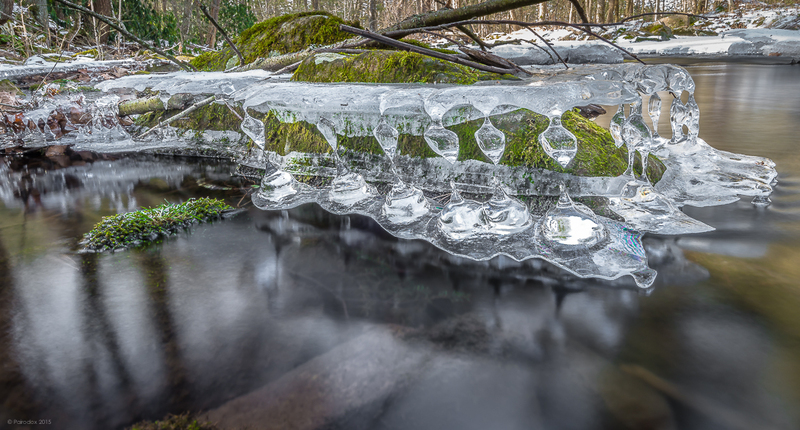 We passed Ravensburg State Park several week ago and noticed that ice had begun accumulating there and along the sides of the Rauchtown Creek. 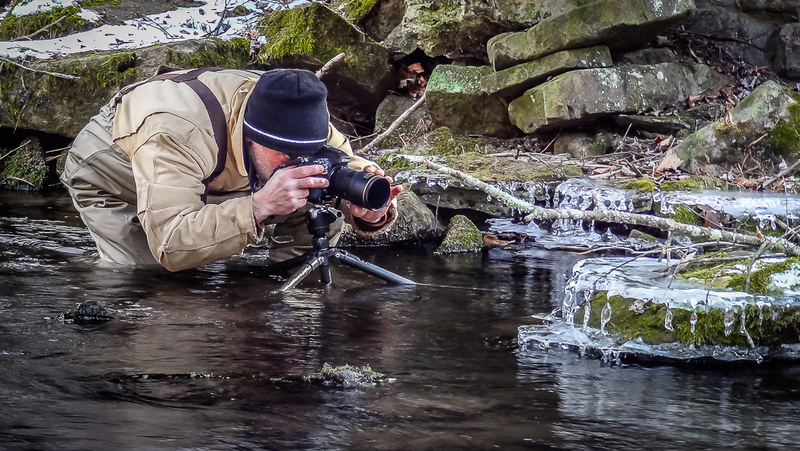 Those who follow this blog know that taking to streams, anytime of year, typically results in my getting wet … and more often than not, very wet indeed. Well, Joanna took the matter in hand and purchased a pair of Chest Waders for me from Cabela’s and this excursion presented the perfect opportunity for a field trial. I can now report that the waders were a game changer. When I first put my feet in the water I felt a sting of cold and thought the waders had sprung a leak. In a minute however I realized that my feet were dry and that my leg had simply responded to the dramatic temperature differential. Joanna had the HX9V with her and she photographed me as I photographed this pretty bit of ice.